VELscope is a leading early detection technology. 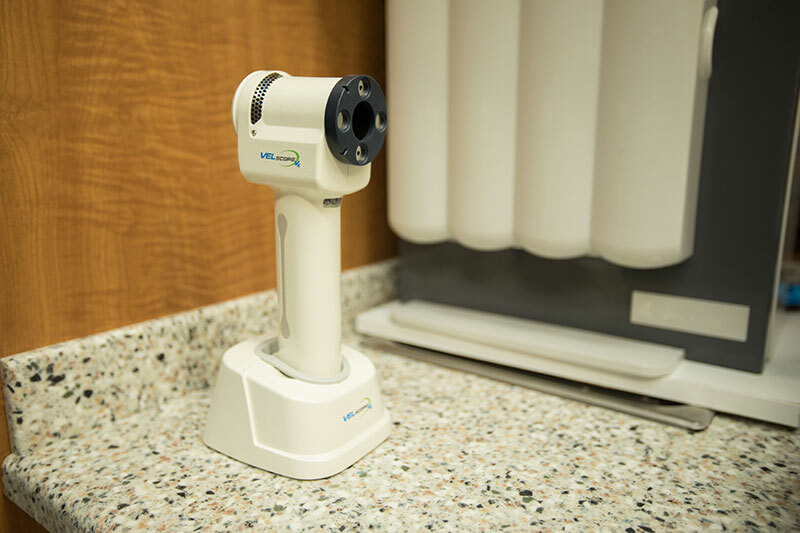 The handheld scope uses tissue fluorescencevisualization to detect problems in the mouth months or years before it would become visible tothe naked eye. Tissue fluorescence happens when fluorophores—natural chemicalcompounds— in the tissue of the mouth are excited by light. When this happens, the mouthtissue naturally emits its own light in response.Traditional scope tools use basic reflected light toexamine the mouth. VELscopes utilize a specialized blue light that activates the fluorophores inthe tissue of the mouth, revealing detail even at a cellular level. VELscope is an incredible step inpreventive dentistry.